When I started HTMLawyers in 2001, my first significant client turned out to be a fast-growing law firm in Wilmington, Delaware. A colleague in American Bar Association circles, Heather Jefferson, had asked me what I was up to at an Annual Meeting. Her response was that she had the perfect firm for me to work with. She was right. And my relationship with the Delaware legal market was underway. 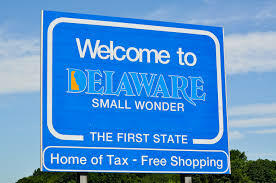 At that time–despite growing up not too far south in Baltimore and attending college and law school an hour north in Philadelphia–I knew little about Delaware outside of visiting my cousin Peter, a Rabbi in Wilmington, and the great value of no sales tax. In the 15-plus years since, I have become well acquainted with the Delaware legal marketplace. There is quite simply a uniqueness to the practice of law in Delaware that makes it different from every place else. I’ve had the pleasure of working at some point in time with most of the more prestigious law firms in town. And I’m not kissing up when I tell you that they are some of my favorite people in the business. The Delaware practice boasts some of the best and most sophisticated corporate and bankruptcy practitioners in the land. There are few courts held in higher regard than Chancery. And, for the most part, with few exceptions, I’ve enjoyed handling various aspects of business and professional development for them. I enjoy my days in Wilmington and grabbing some tax-free goods on the way home. So when Delaware Law Weekly reporter Tom McParland called me to discuss the current state of the Delaware legal marketplace, I was happy to offer my views. In ‘Established’ Delaware Firms Hold Steady Amid Out-of-State Interest, Tom points out that Wilmington firms are seeing little fluctuation in size and work, even as some out-of-town firms have stepped up their presence there, with an eye toward the Court of Chancery and an increasing focus on intellectual property. The established, indigenous firms have benefited from sophisticated practices and a collegial bar that have insulated them from market vicissitudes and fortified them against pressure from outside firms, said Micah Buchdahl, president of HTMLawyers. “I still don’t see any change in the status or size or use of the established Delaware firms,” he said. Certainly profound words–from me–on how and why the reality is less has changed than in many other legal markets. There is still a collegial environment among competing firms. The go-to firms, often called upon by the biggest law firms in New York, Chicago and Los Angeles, still go to the Wilmington law equivalent of the Big Five (which you can take to be a comparison to accounting firms or more impressively the college basketball union in Philly–another collegial group of competitors). Not to say that there is not an impact and a need to “protect the turf” from outside firms setting up shop and midsize firms looking for a piece of the pie. As you might guess, I need to circle back to my core–the topic of marketing and business development. In 2001, there were no sophisticated marketing efforts happening in the First State. As one of my favorite local law leaders would often say, “the business just keeps coming over the transom.” I didn’t even know what transom meant. But the point was that the big local law firms in town were realizing that in order to keep what you’ve got (and ideally grow in other areas), recruit top talent and stay relevant down the pike, becoming well versed in various forms of strategic marketing and BD was necessary. Delaware firms have held steady. However, it has not been by staying stagnant. It required (and will continue to require) some smart leadership and an investment toward the future.